Until relatively recently, cosmetic dentistry was extremely limited. People whose teeth were healthy were considered lucky, even if those teeth were discolored, misshapen, or crooked. Restoration procedures such as crowns, fillings, and dentures were necessary, but often aesthetically and functionally poor, as then-existing technologies did not allow them to blend with the surrounding teeth. Today, though, cosmetic dentistry allows everyone, regardless of genetics, the opportunity for a beautiful smile. Modern technology, combined with skill and craftsmanship, has turned cosmetic dentistry into an art form, and the results are truly stunning. Here are 5 reasons to invest in cosmetic dentistry. Today, it seems like everyone has a winning smile, and those with unsightly teeth tend to hide them as much as possible. If your teeth are in bad shape, you may turn down dates, avoid social interactions, and learn to smile with your mouth closed. Yet even when your teeth are not on display, you may be unsatisfied with how you look. Tight lips and sunken cheeks are common in those with damaged or missing teeth. 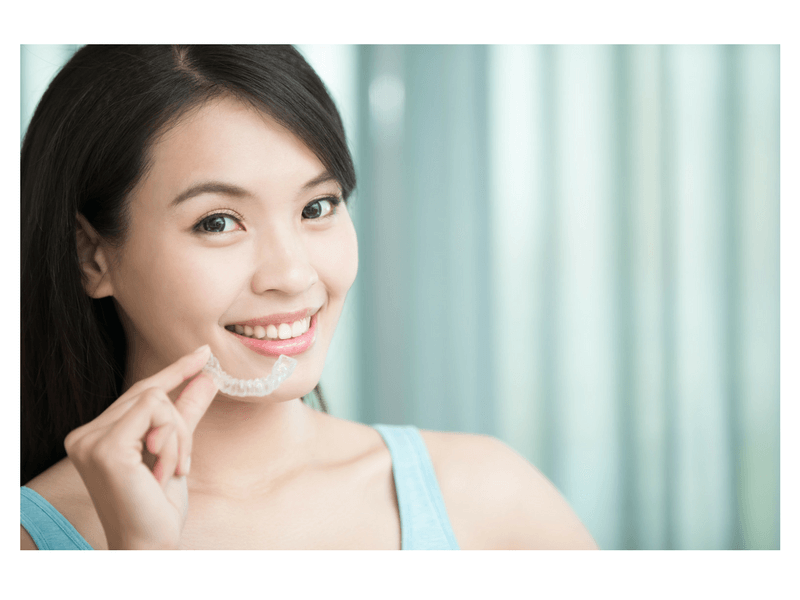 Cosmetic dentistry can give you a renewed sense of self-confidence. Eager to show off your straight, white teeth, you may find yourself standing front and center, speaking up more, and taking advantage of the opportunities that come your way. Building rapport with prospects and customers, as well as higher-ups in your company, is absolutely essential to climbing the corporate ladder. If you are constantly hiding your smile, you may come across as aloof or even insincere. A gorgeous new smile can be just what you need to take your career to the next level. Crooked, misshapen, or missing teeth put you at an increased risk for tooth decay and gum disease, because it is tough to clean inside and around the spaces. In addition, your bite will change as your mouth attempts to find a way to chew your food, putting you at a higher risk for jaw pain and temporomandibular joint disorder (TMJD). Fixing your cosmetic issues can actually improve your oral health. A varied, nutritious diet is essential to optimal health and wellness. Yet those with missing, misshapen, or crooked teeth may have trouble chewing certain foods, and could start restricting what they eat. You may even struggle with properly digesting the foods that you do eat, as chewing is the crucial first step in digestion. In addition, tooth decay and gum disease increase your risk of systemic health problems, from infections to heart disease. Because your risk of oral health issues is higher, so is your risk of additional health conditions. In today’s busy, always-connected world, it can be easy to lose yourself. Rushing around, doing things for others, trying to get ahead at work, and raising a family can wear you down over time. Cosmetic dentistry forces you to slow down, sit down, and focus on yourself. Investing time, money, and energy in taking care of you can refresh and rejuvenate you, easing anxiety, boosting your mood, and giving you renewed energy to take on the world.